Nippon Paint is seen in this illustration photo November 22, 2017. Australia's biggest paint maker DuluxGroup said on April 17 its board had unanimously backed a A$3.8 billion ($2.7 billion) takeover proposal from Japan’s Nippon Paint Holdings. The proposed offer of A$9.80 per share in cash includes A$0.15 per share of interim dividend that DuluxGroup intends to pay. The offer was pitched at a 27.8 percent premium to DuluxGroup's last close on Tuesday of A$7.67. Dulux shares jumped on the news, and were up 27 percent at almost A$9.73 in late morning trading. 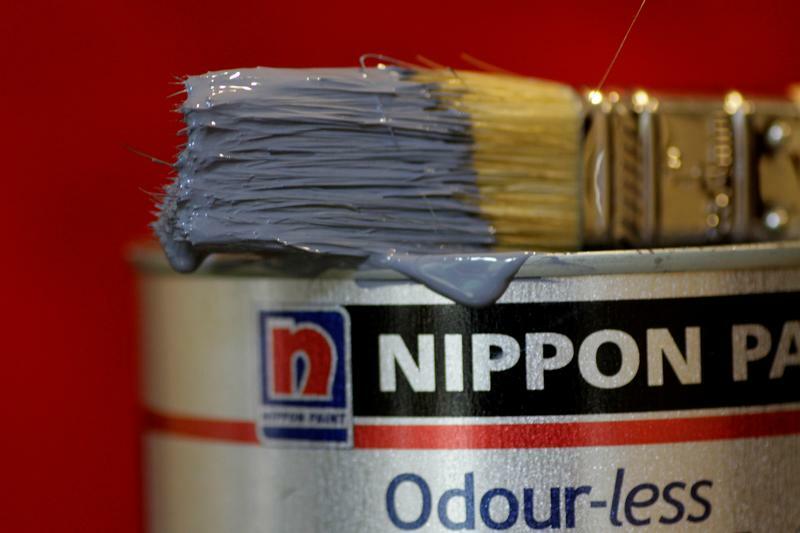 Nippon Paint shares were down 3.5 percent at 4,265 yen.